I know this may seem a bit unprofessional but when I heard about this on the radio (and promptly looked it up on the internet of course) I couldn’t stop laughing. Perhaps this isn’t tactful for a professional blog that is constructed for the sole purpose of evaluating games and game industry, but sometimes it’s the little things that really get you through the day. 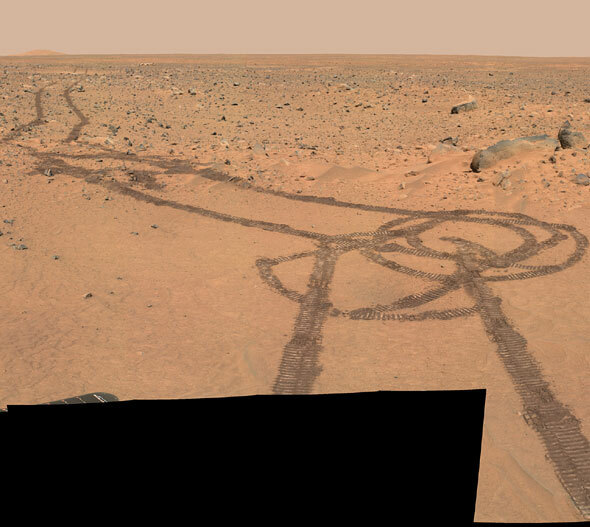 So no doubt as some of you have already heard, via the pictures going viral, the Mars Rover apparently got a little “cheeky” on the planet we plan to colonize and inadvertently drew a large phallic picture on the Mars surface with its tracks! Take of it what you will, but personally my boyish nature found it incredibly funny. No doubt some will be offended by this, as it is certainly not suited for everyone’s taste. However, I’ve learned in my life’s experience that sometimes you just have to “Let your hair down”and have a good laugh here and there without being uptight, life is too short! I won’t make a dissertation out of this, just had to post as I found it incredibly funny and ironic at the same time….. what do we do with the most scientifically advanced robot that we put on a foreign planets surface hundreds of thousands of miles away? Why draw subjectively naughty pictures in the sand with large amounts of comedic value of course! I realize I’ve been absent from my blog for a while, and there’s been a TON of things I’ve wanted to discuss. Alas, changing testing jobs and keeping up with school, and admittedly trying to play through my laundry list of games, has kept me away! No more! I swear I’ll do a better job of posting from now on, especially as this is such an exciting time for the industry and the state of transition that it’s currently in! So without further ado, I want to talk about the very recent PS4 announcement. 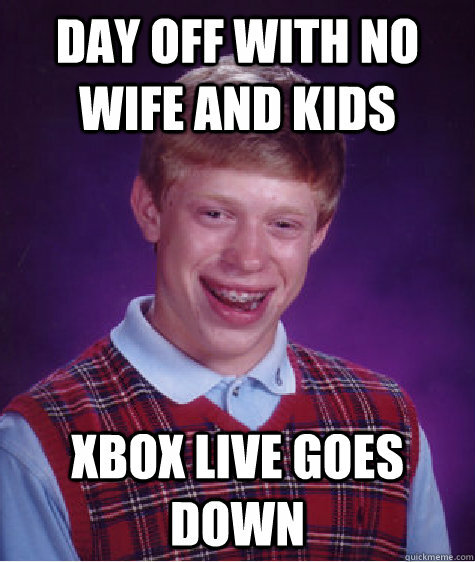 Let me start by saying that I do not own a PS3, never have, and I don’t have plans of ever purchasing one. This was a huge change for me this console generation as I absolutely loved my PS2. I didn’t purchase one because I didn’t agree with Sony’s business decisions and how they chose to build the PS3. Let’s just say for the moment, that it’s all water under the bridge, so to speak. If you haven’t watched the official PS4 press release that was launched a few weeks ago, you really should. Granted, most of the information presented was ambiguous and sounded anecdotally like the same empty promises Sony made for the PS3 announcement many years back. However, I don’t subscribe to “fanboy” type rages, so why am I writing this post might you ask? The answer is very simple, and it’s something I’m really excited about that Sony is doing. 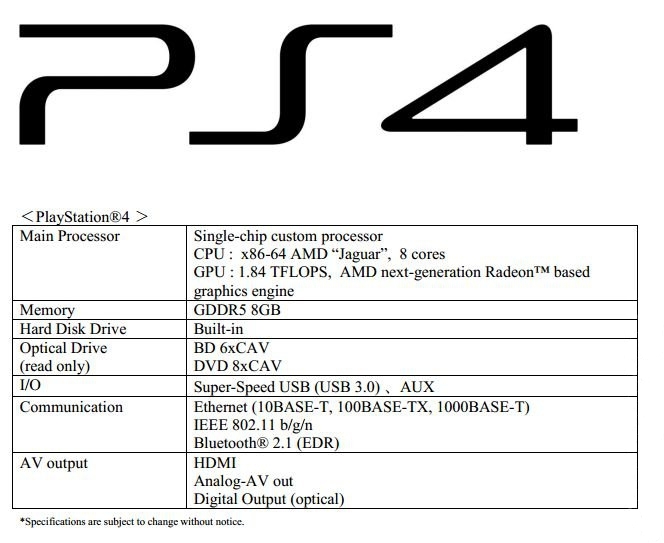 The ‘thing’ that I’m excited about is the fact that Sony decided to go with an x86 architecture for their new console. For your average consumer, they probably don’t know what that means, nor do they really care. From an industry/developer prospective, it’s pure awesome-sauce! Sony has notoriously had a very closed ecosystem with difficult to developer for software/hardware setups. 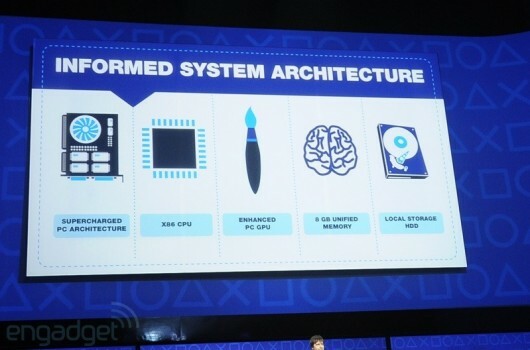 The fact that they chose to build their new CONSOLE with a PC based architecture means three critical things. First of all, and most importantly, this means that the traditional lines that separated what a “PC” and a “Console” was defined as, are quickly disappearing. Whether the average consume realizes it or not, we are entering a new age. The current “console” generation marks the end of what being a dedicated gaming console really was about. More and more you’re going to see hardware performing multiple tasks outside of gaming and being integrated with other devices on a level previously unheard of. Second, aside from “traditional consoles” changing, the PC based architecture means that developers will have a much easier, and financially cheaper, time developing games for the system. 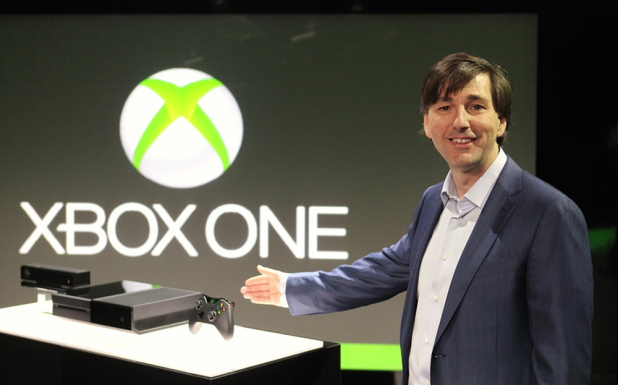 Most importantly though, this means porting games built for other systems will be cheaper and better. Thirdly, and this one may be a bit of a stretch, but it means the utopia most of us have had in our dreams of TRUE cross platform play, in some capacity, is becoming more of a reality than it ever has been. While this may not become a reality this generation, the less consoles are like traditional consoles, and the more they become like a PC, the easier it is for this dream to become a reality. It’s already starting to happen with things like Eve & Dust 514, and hopefully these types of relationships will continue to happen as hardware, software, and closed ecosystems become less of a barrier for developers. 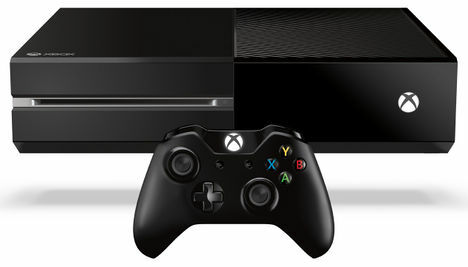 That all being said, I fully expect Microsoft to release a very similar architecture for their next box. You can also expect it to be fully integrated with your phone, tablet, PC, and probably a dozen other things. Overall, next generation consoles will make as great an effort as possible to be an “all in one” entertainment center, as being a dedicated gaming rig with a close ecosystem is no longer a viable platform. Like I said, new and exciting times are coming, and this isn’t even beginning to address the possibilities, or ramifications, of all the “smaller” android based home boxes or the Linux based Steam box coming out! Unless you have been living under a rock for the last couple of weeks you have inevitably heard or read something about this years E3 event. That being said you’ve probably read some rather nasty and disgruntled posts/articles regarding E3. While I do agree with some of the things being said on Kotaku and Gamasutra about E3 being outdated and a horrible representation of the industry we have come to know and love, I think there’s one crucial fact we are forgetting. Well lets make that a couple of facts to be precise. First and foremost E3 is really an advertisement on steroids, it’s for the consumer NOT for the developer. So attempt to control your angst when your inundated with dub step and trailers showcasing only the popular genres/titles. Now before you blow up my post with your undying love, yes I’m being facetious, keep in mind I’m not defending E3 or saying what it SHOULD be. I’m just saying what it is today and I’m going to attempt to reason out why it’s the way it is right now, or at least why this year it felt so…. bland. I think it’s healthy to keep in mind that as we all know our industry is a very unique one and ALWAYS in a constant state of flux. That being said it’s become very apparent to me, and anyone that has read any history, that if the industry doesn’t change radically then it’s headed for another crash. Perhaps not as big as the burning ship wreck that was the 80’s crash but similar. Fortunately the major players in the industry recognize this, for the most part, and after this console generation they know they have to change or risk dying. I think that’s why E3 was a major disappointment for most this year. I feel it symbolizes the industry as a whole holding its breath for whats to come. The heavyweights or waiting to see what the other will do and at the same time attempting to redesign their approach to the home console almost entirely. Since for a long time people expected Sony and Microsoft to announce their next generation hardware at this years E3, that was the hype and expectation for a long time. Since that didn’t happen they attempted to fill the void with other things, obviously less interesting. That partially might explain why E3 this year felt outdated and almost irrelevant to just about everyone, except the “lizard brain 13 yr olds” (as a lot of posts so lovingly put it). Personally I feel it’s just the calm before the storm, if the timeline holds true to the forecast of 2013 being the announcement or release of all the new hardware. I think right now is the time to really evaluate what would be the most successful business model for the next console generation and give Sony/Microsoft (Nintendo will do as they want, successful or not), our collective feedback. Like or hate either or all of them you have to admit that if they collectively fail the next go round we could be here to witness an industry crash that personally I’d rather really avoid and not witness. I also think the indie “scene” and the publisher heavy weights really need to stop acting like children and learn to work together for the betterment of our beloved industry. That however is a completely different topic so I won’t go off on a tangent and I’ll save that for another post. In closing E3 was a massive signal flare that the industry as we know it is on the brink of a game changing evolution. We as consumers and industry professionals need to embrace the change and help propagate it’s success. If your a dinosaur in your thinking and hold yourself back, and others, you need to re-evaluate yourself and our industry. 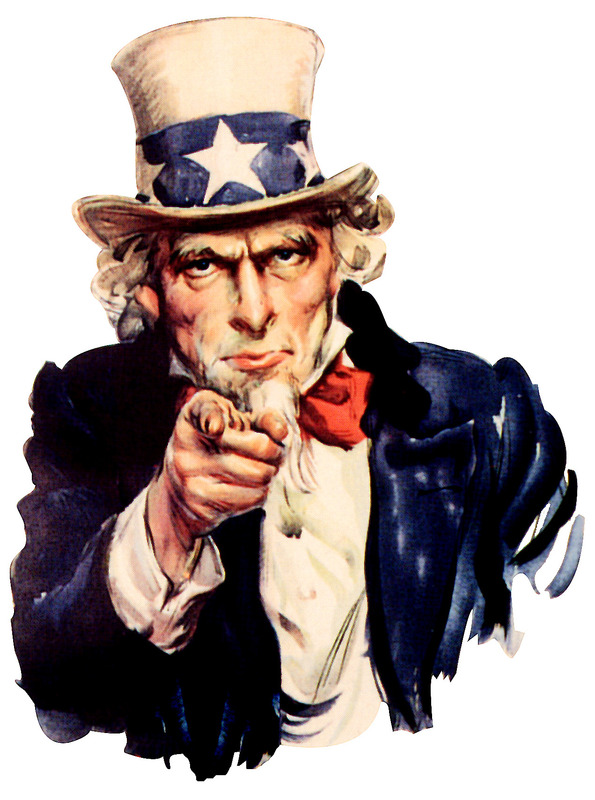 Sit back and honestly ask yourself, are you helping our future or are you a detriment? In a nutshell change is inevitable so if you cannot embrace that, please do everyone a favor and remove yourself from the equation.